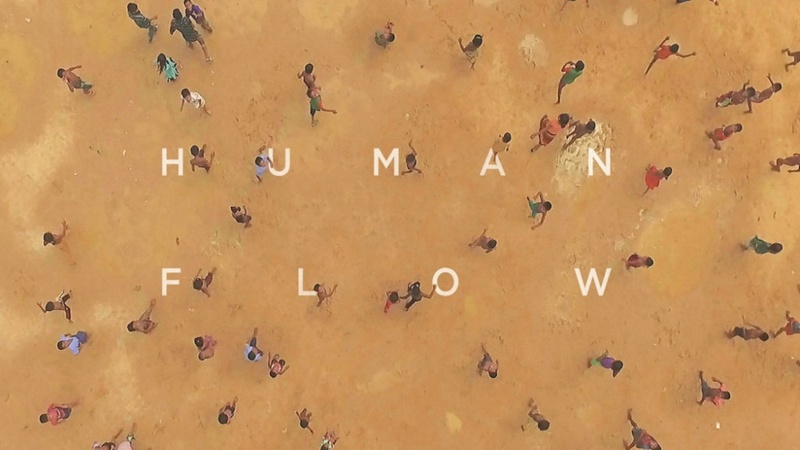 A new student group, Define American UO, is hosting two screenings of “Human Flow,” a documentary by artist Ai Weiwei that focuses on the refugee crisis over the course of a year in 23 countries. The events take place June 7 and 12 and are in collaboration with the UO’s Jordan Schnitzer Museum of Art, where Ai’s “Circle of Animals/Zodiac Heads” exhibition is on display until June 24. The June 7 event begins at noon at the museum and will be followed by a discussion with Portland Meet Portland director Manuel Padilla. The June 12 event takes place at 6:30 p.m. in Room 184, Knight Law Center and will be followed by a discussion with Define American UO members Mariko Plescia and Rachel Alm. The events are co-sponsored by the Wayne Morse Center for Law and Politics, Jordan Schnitzer Museum of Art, Oregon Humanities Center, Global Justice Program, Department of Romance Languages and No Lost Generation UO. “This film challenges us all to think critically about our own relation to the reality of displacement, violence and inequality that the film brings into focus,” said Plescia, a doctoral candidate in the Department of Romance Languages. The screenings are the first major events organized by the group. Define American UO is a campus chapter of Define American, a nonprofit founded by immigration activist Jose Antonio Vargas, who visited the UO in fall 2017 as the Wayne Morse Chair of Law and Politics. Alm, a Wayne Morse Scholar and UO junior majoring in history, had casually discussed starting a campus chapter with Vargas during his visit. She didn’t take it seriously until she was sitting in the second row at Straub Hall, where she’d gathered with 500 other people to listen to Vargas tell his story. Alm and Plescia say the events are just the beginning for Define American UO.